App Builder Appy Pie: In this post we are going to offer you a step-by-step guide on designing an effective mobile ad campaign. If you are an app owner and this app forms a critical part of your revenue strategy, then it is important that you advertise it effectively. Advertising your product is a necessity today. No matter how great your product is, if people are not aware of what you have for them, you are going to lose out on clientele and sales. If your product is an app, or your app is selling your core products, then mobile ad campaigns gain a greater importance in your marketing and advertising strategy. This is also because mobile phones are an absolute necessity for a modern-day consumer, and they carry it everywhere, use it to carry out every possible activity. The question you must confront at this time is – how to design an effective mobile ad campaign? For any mobile ad campaign to be successful it is important that you have a proper plan. Any mobile ad campaign that has been planned well, will always deliver better results and make customers a lot happier. Let’s get started with our Step-by-step guide to designing an effective mobile ad campaign! This is the foundation of any ad campaign or in fact any project that aims to meet any kind of success. If you have a solid foundation of the right kind of research and groundwork, the chances of making sensible decisions and coming up with a decent ad campaign are definitely higher. Once you have a clear objective defined for your mobile ad campaign, you would then have a set direction for future preparation and implementation of the ad campaign. Since this is the defining factor, it is very important that you are clear about where the ad is headed. For a mobile ad campaign to be successful, it is important that you have a clear target audience. This means that even before you begin designing the campaign, it is important that you have a strong sense of who is your target audience? What is it that they need, what do they like, what do they want or desire, and how they would be viewing your ad? Once you have a sense of this, you would have the ability to deliver the right message at the right time, & the right place. It is only by paying due attention to the user behavior and emerging trends that you can develop a strong mobile ad campaign. 3 out of 5 consumers use the local information in an ad, particularly navigation and the click to call buttons. People who are using smartphones or tablets behave in a different manner from users on laptops or desktop computers. There is a good percentage of smartphone or tablet users who would be exposed to your campaign while they are in office or on the move! 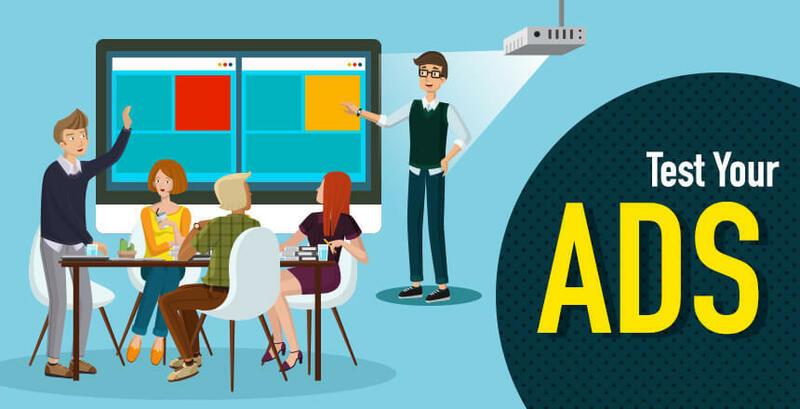 It is definitely not advisable to adapt a desktop strategy to fit mobile ad campaigns because it will definitely dent your efforts in implementing an ad campaign. Now, there are a number of tools in the market that may help you understand the targeted mobile consumer. Twitter Audience Insights – determine the users’ different interests, demographics, occupations, lifestyle, political inclinations, etc. The idea is to identify the right target audience as soon as you have defined your campaign objective(s). Doing this would help you customize various elements of your campaign to suit your targeted audience thus making meaningful communication possible. 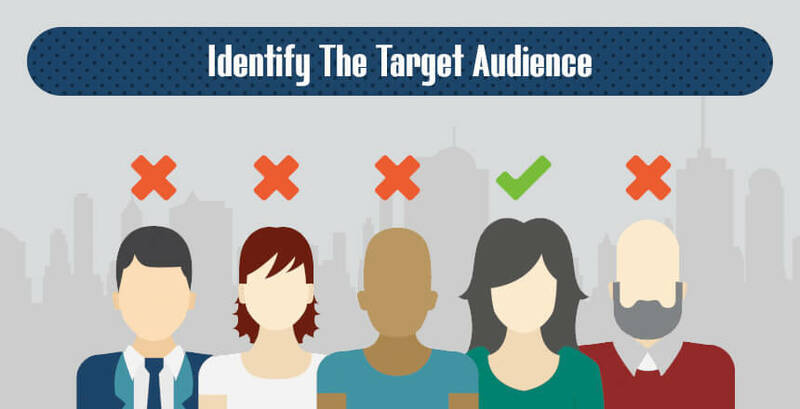 How to identify a target audience? Who needs the product or service you are selling? What is ideally a manageable size of your primary target audience? Avoid being too specific, nor should you be too ambiguous if you want to identify an audience that fits the right scope for your campaign. Which communication channels would be most effective for reaching out to your targeted audience? It is of critical importance to engage in some meaningful research when it comes to studying the consumer group that you are targeting for your campaign. Different consumer groups would respond differently to the ads that they see and read. Their response and reaction to the ads you send out would depend heavily on their personal taste and preferences. Your campaign approach is essentially the way you are looking at the whole project. It would entail the strategy you employ, the duration for which you are going to run the campaign, the device you are using, the budget and timeline planning, and the different metrics that matter. Once you have established clarity about campaign objective and the target audience, it is time you started planning your campaign strategy and the first thing you need to do now is decide which communication strategy you want to employ for your campaign. Here the idea is to communicate your message by grabbing the targeted audience’s attention through a short video or animation.It can actually help you convey your message and establish a genuine relationship with your target audience through great user experience. In this kind of campaign, the underlying idea is to inform and educate the target audience rather than pitch it to them, thus establishing an emotional relationship with the targeted audience. One of the most unconventional methods of advertising which encourages the target audience to interact with the campaign or participate in a variety of ways.This may sometimes be achieved with gamification and might also need a lot more planning and execution. The type of communication strategy that you finally choose to go with also depends on whether you would prefer to push information or pull the customers in for an interaction. I have listed hereunder, a list of things that you must consider when deciding your communication strategy. What is the central campaign goal – branding or performance? Is the communication strategy you are choosing aligned with the campaign objectives? Which type of communication strategy are most suited for the best results? Would you be able to invest the money and time needed for the implementation of the chosen communication strategy? After identifying the best suited communication strategy for your mobile ad campaign, it is time to go ahead and determine how long it is going to run. Are you going to design a campaign that would be based on one-shot action model or would it be a combination of a series of actions? Are you going to need a variety of content all through the duration of your mobile ad campaign? The length of your campaign and the duration for which it is going to run has a great impact on the way you are going to design the campaign. If you are planning to run the mobile ad campaign for a longer duration of time, it is important that you plan the whole project and the constituent advertising activities impeccably. Failing to do this would lead to slowing down of customer response and the momentum of the campaign, in fact, it may come to a grudging and untimely stop as well. The ads that you would be designing for the campaign would have to be aligned according to the activities that you have planned out for the campaign. This effectively means that you would have to get three set of visuals or images designed. This is because every section comes with a specific objective and results that you plan to attain. Once this groundwork is done, the ad schedule needs to be planned and then executed in a timely fashion. As you are building up the foundation of a robust mobile ad campaign, you will also need to consider the platform or the device where you would be running the ads. The consumers today are not restricting themselves to a single screen, chances are that they are using a variety of devices, depending on where they are, what time of the day it is, or what day of the week it is! It is therefore wise to include multiple screens in your mobile ad campaign strategy including desktops, tablets, and mobile, if you are looking to maximize the impact of your ad campaign. Doing this also goes a long way in increasing your brand recall. This is where you also would have to decide whether you are going to put your ads up on mobile applications or on websites. For a modern-day mobile user, 80% of the total time on mobile is spent in native apps on their devices. If, however, US is not the country you are targeting, then it might be wise for you to do some research and figure out whether it would be better to opt for mobile websites. By this time your mobile ad campaign is taking some sort of a shape and this is where your preliminary phase of planning comes to completion. At the end of this preliminary phase, it is now time to take a look at the hard numbers and come up with a timeline or schedule. Now this is not a task to be taken lightly, and you probably know it! While you are on your way to plan your budget, there are some questions for you. Once you have answered these questions you would be well on your way to determine the kind of budget you would need to build your own mobile ad campaign and the way it can be scheduled for best results. When would you want your mobile ad campaign ready to go? What kind of money are you going to spend on mobile media? What kind of money would you be spending on rich media creatives? What is the total number of impressions do you plan to achieve? Once you have these answers at the ready, you would see that you have some variables in your hand that would equip you better in coming up with a budget and schedule that is realistic and has a good chance of making it! Once you have the basics figured out, it is important that you now sit down and identify the metrics of measurement that are needed. The only way for you to have a successful campaign in place is by making sure that you integrate crystal clear objectives and key performance indicators right into your campaign. This needs to happen right from the very start and not as an afterthought. When the mobile ad campaign is designed well, it is actually quite simple to measure. Rich media ads on mobile have a lot more to offer than just a whole lot of impressions and clicks. In fact, according to a recent report, the touchscreen feature inherent to the smartphones today is responsible for an inflated CTR (click-through rate) results as it may include up to 40% accidental taps or clicks. Apart from this, you must also consider that the initial click-activities are not designed to accurately measure post-click interactions and activities. Nor does it measure the secondary actions that are taken immediately after the initial click. It is this particular aspect that can help you understand deeper engagement and intent of the consumer. It is therefore, important, in this day and age to go beyond the CTR as the only metric of measure. Pay attention to the real business results that are important or better yet, look for an integrated solution. You can even opt for some integrated solutions available in the market who would come up with succinct and comprehensive analytics that are critical to running a mobile ad campaign and go beyond that single campaign and help you come up with a holistic mobile marketing strategy. As the mobile ad market is maturing and evolving into something formidable, the most critical metrics for mobile ads that have emerged are Secondary Action Rates (SAR) and Store Visitation Lift (SVL). Keeping a keen eye on these two metrics can lend you great insights when it comes to the implementation tactics you employ for your ad and the patterns in consumer behavior through SAR and their buying intent through SVL. Incorporating a targeted product listing on the basis of the product viewing history of the consumers. When you implement SAR into your mobile ad campaign metrics, you are enabled to create effective mobile ad campaigns that would not just drive greater awareness, but also get you deeper engagement and high conversions including but not limited to in-store traffic and of course sales. This part of your mobile ad campaign planning is quite interesting and is important because this is where you actually decide what your ad is going to look like, who is going to design it, which format would you be choosing to go ahead with, and what is going to be your production strategy. 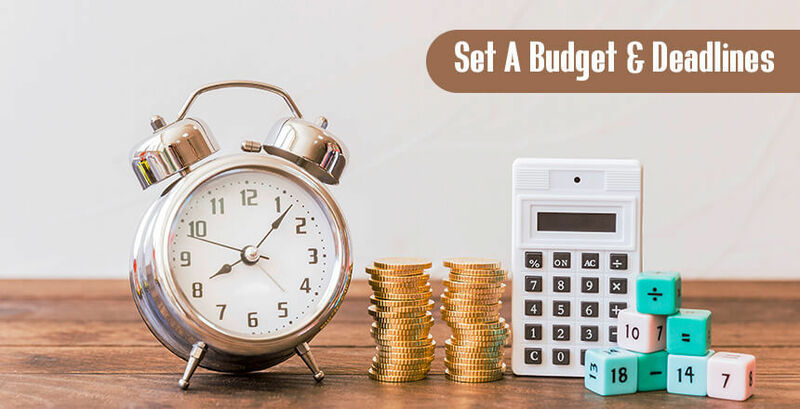 It is important that you develop a clear plan of all these factors, and it is so because each will impact the other and have an impact on all other factors as well, especially your budget and the schedule that you may have decided to begin with. This stage or aspect of your entire planning process is arguably the most critical one. Like any other kind of ad campaign, for a mobile ad campaign to achieve the desirable result, it is important that the design and development of the creative is aligned suitably with the objective of the mobile ad campaign. To help you get started, I have compiled for you a list of best practices that you can keep in mind while designing and developing your mobile ad. The most obvious one here is that you absolutely must only use high resolution visuals if you want to grab the attention of the consumers. Good quality graphics are known to a greater number of secondary actions thus increasing your chances of achieving your campaign goals. The content you create for the ad needs to have a certain sense of clarity, convey the message crisply and must have the ability to captivate the audiences. The screen space available for mobile ads is much smaller than the desktops, which is why it is important that the content is simple, clean, and maintains a focus on what is really important. Your call-to-action on the mobile ad must be clear and compel the consumers to take the action you want them to. The words should be simple, the button should be in high contrast to the ad background and big enough in size of higher visibility. You can’t possibly expect the consumers to look for a button! The landing page that you are designing for your mobile ad campaign needs to be suitably optimized. The most important aspect is a clear and attractive call to action button which can play a critical role in driving conversions. Additionally, you must also make sure that you incorporate tracking in the landing pages so that you can measure the secondary actions taken by the consumers. Keep as few touchpoints for the consumer as you can as they are on their buying journey. In an ideal situation there should only be three touchpoints which should lead to the purchase or payment, as applicable. Any content that leads the consumers or the audience to touch or swipe are bound to increase your conversion rates. This is simply because of the heightened consumer experience you are offering with this kind of gamification. As the engagement increases, the consumers are driven to take more secondary actions. When a user takes a certain action like a tap or swipe or even a tilt and feels a tiny vibration of acknowledgement, it enhances the consumer experience. Haptic feedbacks like these are proven to increase the user experience and drive a greater number of secondary actions. Through the campaign or as a part of it, encourage the consumers to interact with, or participate in the campaign through activities like attempting and sharing quizzes, sharing product or in-store experience, sharing on the social media and many such other things. When your customers are motivated enough to participate, your brand’s and the campaign’s awareness soars high. People tend to trust other people, even if they do not know them personally. This is evident by the general practice of looking at the product reviews before going ahead and making a purchase. The consumers’ confidence in your product when there are feedbacks or reviews – positive & negative, increases. Of course, if the reviews are positive, the confidence further increases. Make sure that your app has high relevance by making sure that you find and address the right audience through your mobile ad campaign employing hyper-local targeting. A well-designed mobile ad campaign would take under consideration a variety of data points ranging from the type of content they consume, to language, age, gender, and many such other critical factors. Who doesn’t love a deal? Most of the consumers are perpetually on a lookout for a deal or discount on things that they like or need, or mostly don’t even know that they need. Deals, discounts, or promotions are extremely effective in the creation of consumer intent and enhance secondary action rate by offering reasons to purchase. Now, the ad format that you choose to work with is important in terms of the results that it would bear. Different ad formats would bring in different results, but having said that, I must admit that there is no such thing as the best ad format! In fact, it depends entirely on the campaign objectives when it comes to choosing the best ad format. So, I am listing some of the most popular mobile ad formats for you to consider before you can zero in on any. These must be crisp, clean, and captivating enough to motivate the consumers to click on them. The design should ideally be subtle and attractive, yet not distracting. These ads must highlight the primary offerings with a crisp call to action. It is a good idea to steer clear of bright colors, content overload, or just some average graphics. These are essentially quite high on engagement due to their interactive nature. There is great variety in types and sizes of rich media banners, are customizable, and can also have multiple CTA. These are most effective when it comes to site retargeting but are also used for context-based personalization and continuous optimization. These may be used to increase in-store traffic by showcasing the nearest store location and the real-time distance from each individual consumer. These are especially effective for geo-conquesting and for diverting the footfall away from competitors and in to your store. These ad formats have the ability to morph into the content environment around it and suit the form and function of the chosen platform. This makes the consumers treat these ads as new content in the flow of information which then results in higher user engagement, and CTR. You are nearing the end of your planning phase and about to move into the execution phase for the production of the mobile ad. One of the last and most crucial steps is planning how you are going to execute what you have planned up. As a preamble to this, it is important that you ask yourself some of these questions. Would you be able to build the entire ad in-house? Would you be involving a third-party vendor? How would you gauge if a rich media vendor would be suitable for you? I am listing a few production options in context of HTML5 ads, that might help you decide your way forward. This is the most popular method where you simply outsource the entire creative production. The excruciating details are then taken care of by the vendors. This means that you would only have to know the general details and ask the right questions to evaluate the vendor you are looking to hire. It only makes sense for you to hire an Ad Developer when you have an in-house experienced operator and designers. It only means that you would have to spend a lot of time and effort in getting it all just right! This comes as a natural and effective solution for medium to large sized agencies that have in-house resources and ability to build a campaign. What they essentially need is a suitable ad creator, and a team of in-house designers to work on the production. If, you plan to go ahead and outsource your whole creative production, then you would have to look into a number of different agencies or third-party vendors who you would be hiring. The process of evaluating a rich media third-party vendor can get a little overwhelming. But don’t you worry about it at all, because I have compiled for you a list of things that you may ask them about when you are trying to find the one who is best suited to you. What is the extent and kind of creative capacity do they possess in context of both, video and HTML5 formats? Would their ads and the ad tags be platform-agnostic and device-agnostic? What is the extent of groundwork they lay out in general for a typical project? Would they be conducting tests for their ad tags and check for discrepancies with the supply traffic sources, DSPs, and the ad exchanges that you plan to work with? In what way would they be managing any discrepancies that might emerge? What kind of tracking capabilities do they possess? Do they offer integrated workflows that include ad serving and reporting services? If not, then what kind of integrated services do they have on offer? Would they be able to provide legacy support for those platforms or devices that do not support rich media? Do they offer any kind of targeting features for the audience or for the creatives? What is the extent of technical support that they can offer? What kind of a lead time are they going to work with? What kind of ad serving fees would they be quoting? Are there any kind of hidden costs? Until this point, you have been involved in planning the whole process step-by-step, but now, it is time to move to planning the fun part. This is where you begin planning the implementation of the actual mobile ad campaign and the various metrics that you are going to be using to measure the results of the campaign. This measurement is of critical importance especially as it helps you in planning your future campaigns. Even if you think that you have planned well enough for every possible scenario and situation, you can never be too sure and there is a high possibility of you running into unexpected bumps or roadblocks. It is for this reason that you must plan well in advance to test your mobile ad campaign. When you take measures to test the entire campaign in full, you actually end up preventing any unpleasant surprises or any blunders that you might have missed out on! If you ignore doing so and go straight to run it at full force, you might actually end up paying more or in the worst-case scenario pull the whole campaign back! These different issues or factors I have listed out for you can help you ensure that you have covered your ground at least on all the basics and some of the more advanced aspects of your mobile ad campaign. This will in fact help you in creating ad campaigns that stand a better chance at bearing good results and finally meeting the campaign objectives. Unless you have a good plan in place for the measurement of the results and identifying the metrics is really important. If you do not measure the results of a mobile ad campaign, you would not be able to judge the impact that your campaign has had or if it has had any impact at all! 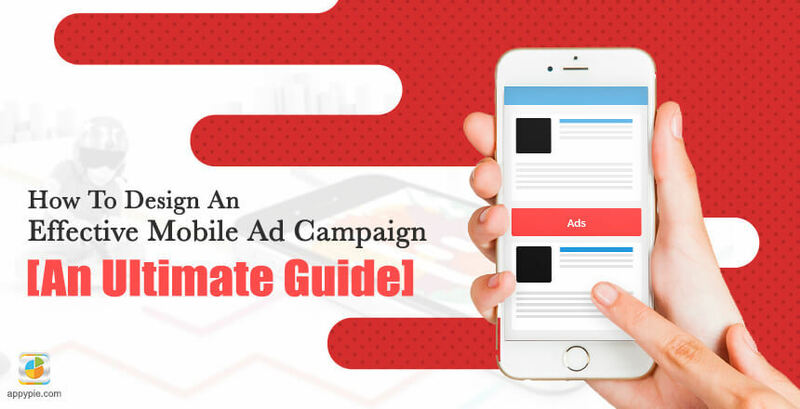 The measurements that you have planned up for your mobile ad campaign should be able to tell you about the success of the mobile ad campaign that you had planned quite thoughtfully. This information is in fact extremely useful, when you sit down to plan any future mobile ad campaigns, helping you fill out any gaps or take measures to maximize their impact, bringing in greater revenue. A well designed and properly planned mobile ad campaign can be an extremely powerful marketing tool. It has the potential to forge a unique relationship between you, your brand, or your company and the customers using a medium that is instrumental to their everyday functioning. Your target consumers, like any other average customer today carries their smartphone or mobile phone on themselves at all times, and it has turned into something that is extremely personalized and personal.